Can’t receive Security Code/Wrong Security Code? The Security Code was sent by EA to your Account Email or Mobile Phone(text message),if you have set google authenticator,then google authenticator will generate the code every 30 seconds.You can check your email,text message or google authenticator to get your code. If you think it’s too inconvenient to get codes through such ways,you can try to get the backup codes. 1. 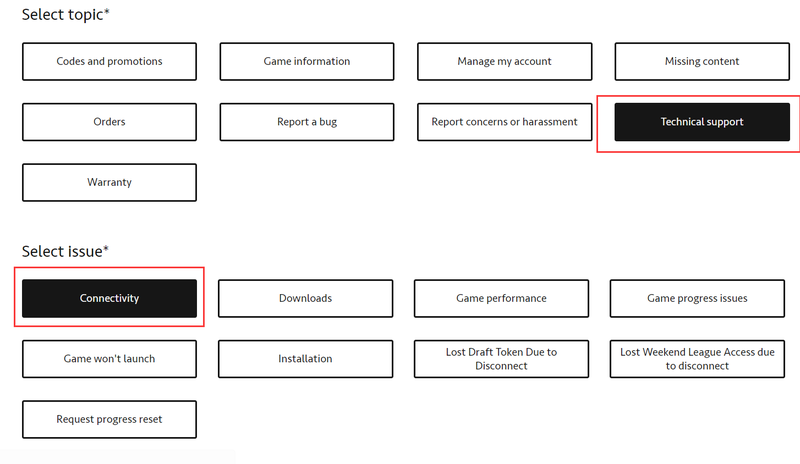 Go to www.ea.com,login your EA account,then enter the your personnel profile page. 2. 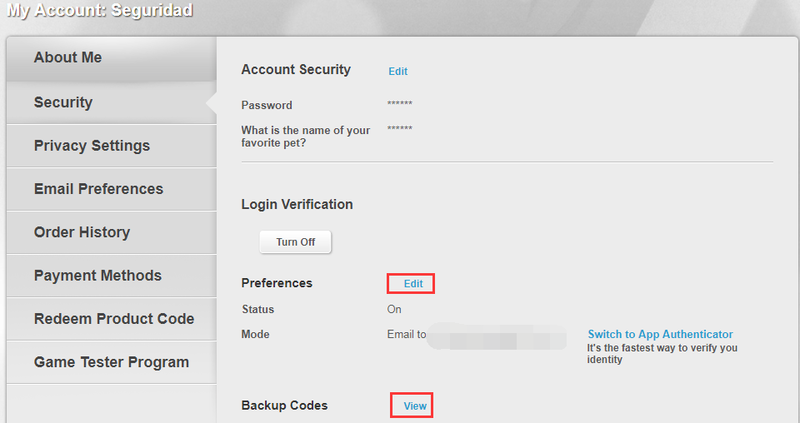 Click “Backup Codes”-“View” to get your Backup Codes,ea will ask you to enter a code to unlock backup codes.As usual,you can receive this code via email,text message or google authenticator.Then you will get 6 backup codes.Next time when our delivery system asks you enter a code,you can use one of your backup codes. 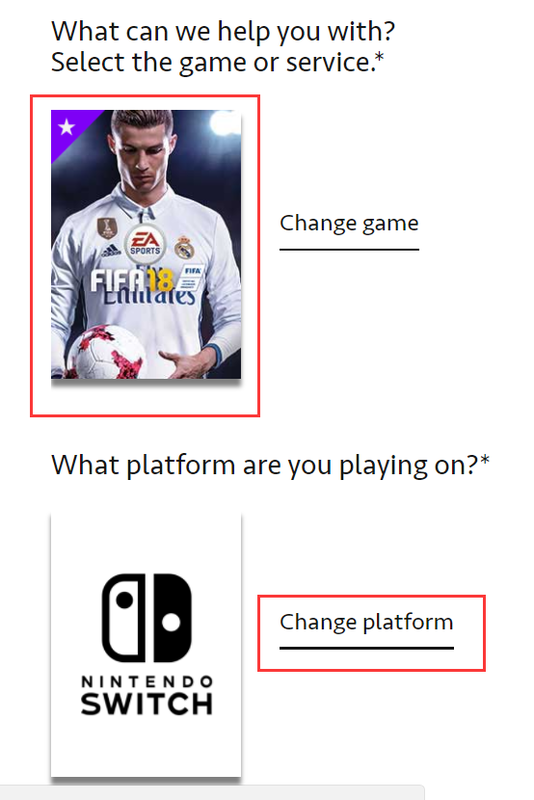 (2)Choose your platform,topic,and issue.We suggest that you can pick ‘technical support’as your topic,and ‘connectivity’as your issue. (4)In the next page,choose chat. 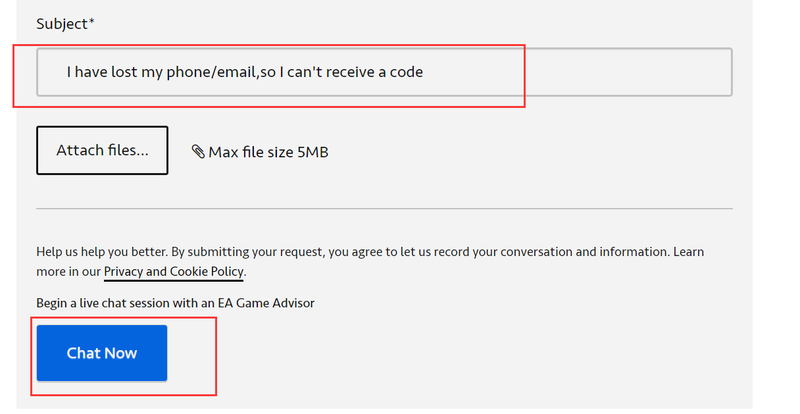 (6) Now you can chat with the online support of ea.You can tell them that you have no idea about receiving your code.And you can ask him to give you an urgent code.Then you can use this urgent code to modify your binded email/phone so you can receive new codes.